I think there are two major strands of story that we need to connect to. The first is what I’ve been talking about here, the local congregation’s story. But there is also a global, historical story that, especially among the free and independent churches, has been lost. Think of the difference between a book like The Lord of the Rings and, well any other work of fiction. Because J.R.R. 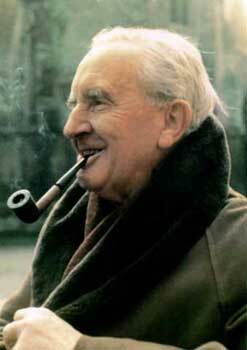 Tolkien was a master of language and story, he knew that his fictional world of Middle Earth needed to have what he called a “Great Chain of Reading.” He created an entire mythology, complete with conflicting accounts of the same events, and several full languages so that the characters of The Lord of the Rings were interacting within a much richer tapestry of lives and events. It made the fiction feel more real, because subconsciously we all know that this is what our lives are – part of something much, much bigger that stretches back way beyond memory. We need to connect ourselves with this greater story. We need to do it on the local church level and on a global level. This global story is messy and sometimes contradictory. It embraces Jesus’ beautiful Bride in all her variety – Roman and Greek, Catholic and Protestant, Persecuted and Triumphant, Ancient and Medieval, Reformation and Modern. There is an almost compulsive desire among modern churches (at least the ones I have experience with) to reject the story of the church because it includes people and movements they disagree with, all the while turning a blind eye to the shortcomings of their own movements. When we try to remove our church from the streams of the Greater Church’s history, we exalt ourselves above our brothers and sisters. While we might not agree with the way our brethren do things, we need to recognize that we are components of the same story. Don’t think that I’m saying we need to embrace cultists or heretics as representing the Body of Christ. That’s not my intent at all. But these groups are part of the story. What was going on in the Church at large that allowed for the formation of these groups? How do we answer those things? One of my favorite apostates is Bart Ehrman. He teaches at UNC Chapel Hill, and he has written a dozen books that claim essentially that everyone is out to manipulate the image of Jesus for their own purposes – both modern preachers and ancient scribes. I disagree adamantly with Ehrman’s thesis, but I think the popularity of his works demonstrates something in our story that we need to recognize. Historically, factions have manipulated and abused the Scriptures to gain advantage. This is part of our story. We need to recognize it and grow from it. We need to safeguard against such things and make sure we don’t do it ourselves. Too many times, the response to our history as the Church (on the grand scale) is to reject it and carve our own little niche where we can happily be our own little religious group. When we started to explore the merger of Heritage and Grace, we both had to overcome a little bit of a Baptist conundrum. You see, Heritage was started by a missionary from the Association of Baptists for World Evangelism (ABWE) while Grace was a part of the Conservative Baptist Association (CBA). If you’re not from Baptist circles, you may not know that there are some significantly different strands of Baptist beliefs, and neither congregation was particularly well-informed of the other group’s particular beliefs. On top of that, I had been educated by the Baptist Bible Fellowship International (BBFI), a third group. I set about figuring out where all these groups came from. Since I went to a BBFI school, I knew that the group had splintered off of the World Bible Fellowship in 1950. The WBF itself had broken from the Southern Baptist Convention (SBC) in 1933. And the Southern Baptist Convention had itself broken from the Northern Baptists in 1845 – more over the issue of slavery than over doctrine, truth be told. These Northern Baptists were the beginning point for the two other groups we represented. The ABWE split from them in 1927 over the issue of what missionaries should do on the field. In 1947, a group left the Northern Baptists over concerns of the missionaries work and the growing bureaucracy of the Convention. They formed the Conservative Baptist Association. So as our merger proceeded, we were uniting the history of three Baptist groups that had fragmented for one reason or another over the previous century and a half. I shared this with Ray, one of our elders. It was amazing to realize that these groups had split all over the place while still all embracing essentially the same doctrine. Their splits were not doctrinal. They were methodological. Certainly the Northern Baptists were moving toward liberal ideas, but should that surprise an observer who notes that the conservative leaders kept departing and forming their own denominations? Of course, the whole Baptist realm, while tremendously influential in the last half of the 19th and most of the 20th centuries, was a relatively recent development. Baptists had only been around as a group since the Reformation, and the Church was much bigger than that. Over the years, I’ve spent a lot of time considering our greater context and incorporating elements of the Greater Church into our worship. For example, we observe a 40-day season before Easter and a 50-day season afterward. In the Greek Orthodox Church, these seasons are called tessarakoste and pentecoste, which just mean forty and fifty respectively. In the Catholic Church and most liturgical denominations, tessarakoste is called “Lent”. Most people don’t know that the Pentecost we read about in the Book of Acts was actually the Jewish festival of Shavuot (literally “sevens” or “weeks”), one of only three Holy Days that the Scriptures required the Jews to gather in Jerusalem. The first is Paschal or Passover. The people then went home and worked their fields for seven weeks, and returned for Shavuot – to give the first fruits of their barley harvest. It was a celebration of God’s provision. The early Christians continued to celebrate Shavuot/Pentecost because it was the day when the Holy Spirit poured out “the first fruits” of the harvest that began with Jesus’ resurrection. They also appended the 40-day season of tessarakoste as a time of repentance and fasting in expectation of the resurrection. The number forty was borrowed from the Exodus and the forty years of wandering, which was a punishment for not accepting God’s provision. As you can see, these two seasons make a beautiful picture of the Christian journey. They incorporate expectation and harvest. They symbolically connect us to a much larger story than we would see otherwise. By abandoning these practices, we have created something of a sterile faith which is dependent more on our personal version of the story rather than the story as a whole. This is just one example of something we do at our church to connect to the greater story, and it was something we did at Heritage only shortly before the merger. But it gives you a sense of the kind of things we need to do to connect to the greater story of the Church. Many church leaders in my age group (I’m only thirty-four) think that it is “cool” to use pseudo-ancient practices like candlelight services and Gregorian chants. Personally, I think being cool is the worst reason in the world to do anything. If it doesn’t connect us to the story of redemption that God has been telling over the past millennia, then why do it? These ancient Christian practices were shadows and reflections of the rites of the Judaism from which the church had emerged. They were refined with the understanding of Jesus as the Messiah, but they were an unbroken chain of reading reaching back through Judaism and the Monarchy to Mount Sinai. This is the kind of story we need to be connected to. You might ask yourself why I would go on this diatribe that seems far abreast of the subject of merging two congregations, but the historical understanding is important because it helps us realize how small our own story is in the broader scope of what God is doing. Are our congregations and their stories important? Absolutely! But they are part of something bigger, something God is building and restoring. Whether it is connecting to ancient practices that have been lost or getting over the often petty divisions in the church today, part of the merger processes is about connecting with the Church at large as much as connection between the congregations joining. It helps us get our eyes off the trees so we can see the forest, or perhaps more appropriately off the guy sitting across the table from us and on the fields ripe unto harvest.